The Breast Cancer baseball shorts are our way of showing our support to help find a cure for breast cancer. Wear your pink and support this great cause. Supporters, like Sandlot Swag, hope that greater knowledge will lead to earlier detection of breast cancer, which is associated with higher long-term survival rates, and that money raised for breast cancer will produce a reliable, permanent cure. Breast cancer advocates raise funds and lobby for better care, more knowledge, and more patient empowerment. Breast cancer culture, sometimes called pink ribbon culture, is the cultural outgrowth of breast cancer advocacy, the social movement that supports it, and the larger women’s health movement. The pink ribbon is the most prominent symbol of breast cancer awareness, and in many countries the month of October is National Breast Cancer Awareness Month. A portion of the proceeds raised from Sandlot Swag’s breast cancer awareness shorts will be donated to a local breast cancer charity to help fight for a cure! Please show your support while wearing these cool baseball shorts! 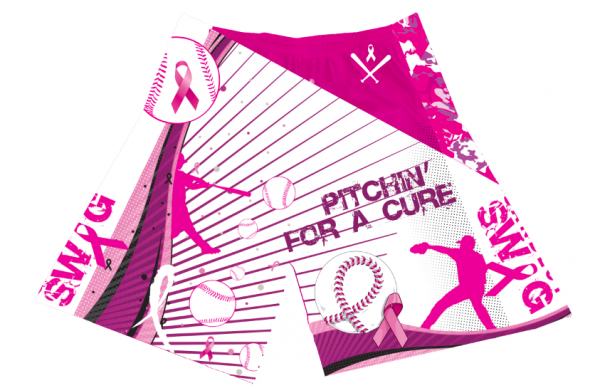 The Breast Cancer baseball shorts are designed with a side seam, slit pockets and have an inseam of approx. 9 inches. 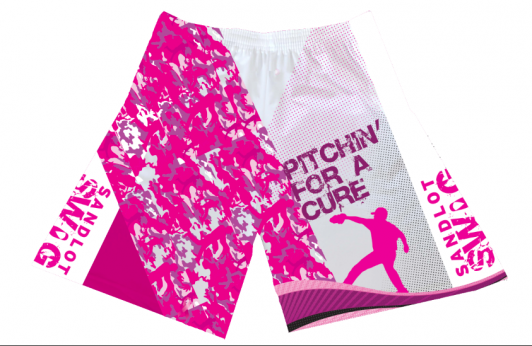 The The Breast Cancer baseball shorts also have an elastic waistband and drawstring for a great comfortable fit. The Breast Cancer baseball shorts feature the Sandlot Swag brand located on the front of the shorts. All our baseball shorts are made using a sublimation process in which the designs are dyed directly into the fabric. The Breast Cancer baseball shorts design won’t fade or wear off and are made of a polyester fabric, so they will not shrink. 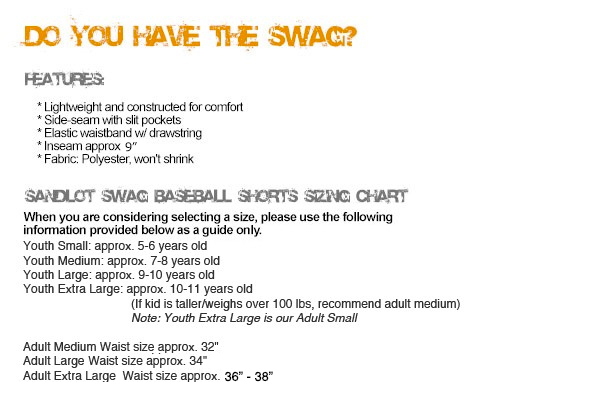 Sizes available for The Breast Cancer baseball shorts are youth small, youth medium, youth large, youth extra large, and Adult baseball shorts sizes are medium, large, and extra large.